Designed to protect against solid and liquid particles such as dusts and mists, along with vapours, organic and inorganic gases. Used in petrochemical, chemical manufacturing, construction, transportation, paint spraying and solvent environments. Lightweight and compact for a comfortable fit. 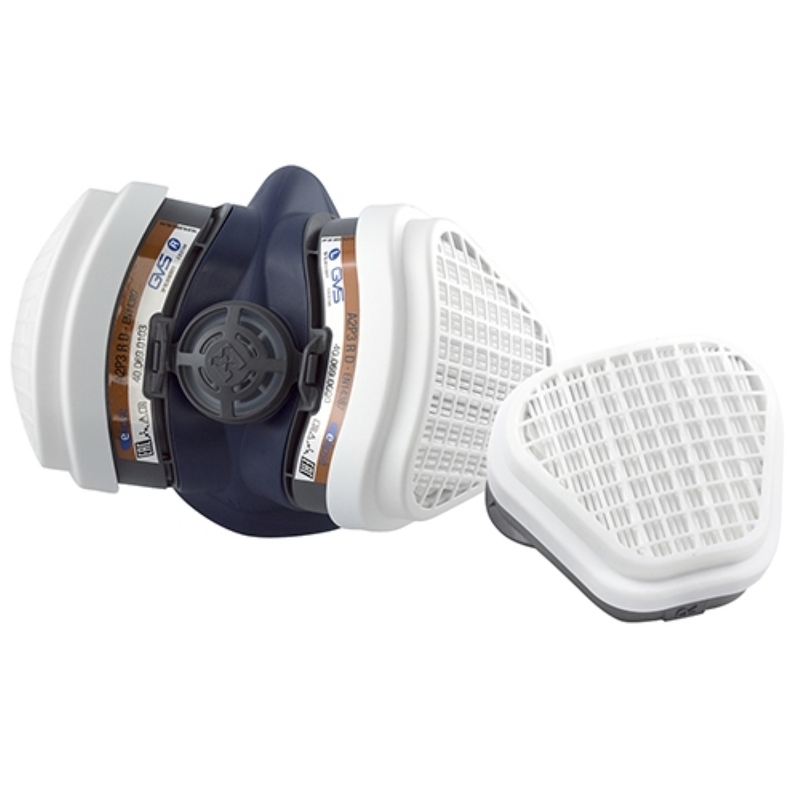 Ready to wear twin filter respirator. Curved filter technology for improved vision. Manufactured in the UK.